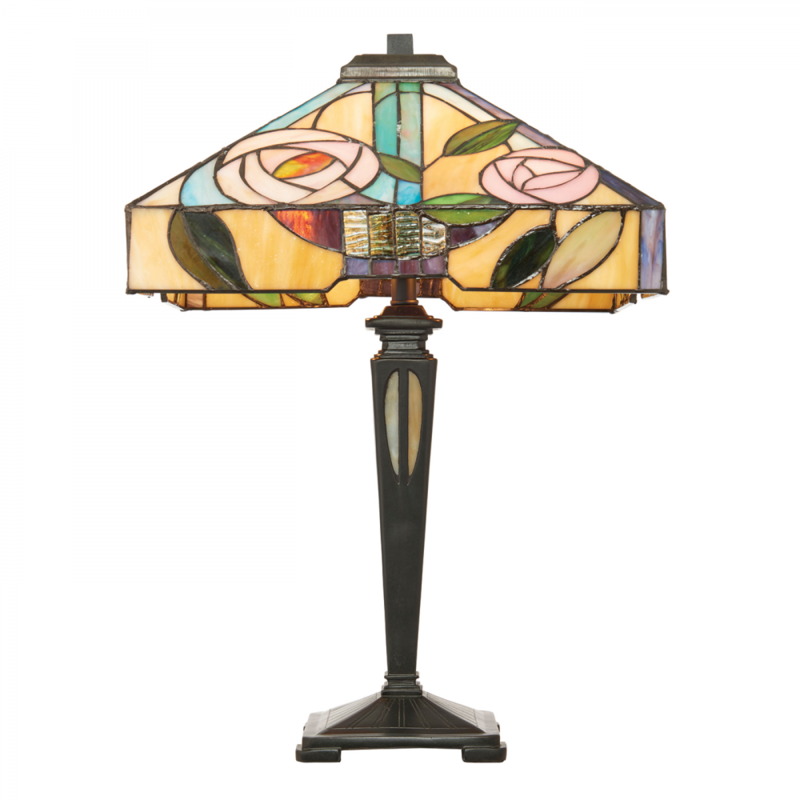 The Happy Homewares table light incorporates the famous Mackintosh style rose, with subtle pretty colours. Complemented by a dark bronze fitting and compatible with LED lamps. Matching items available. 53cm height x 35cm square.